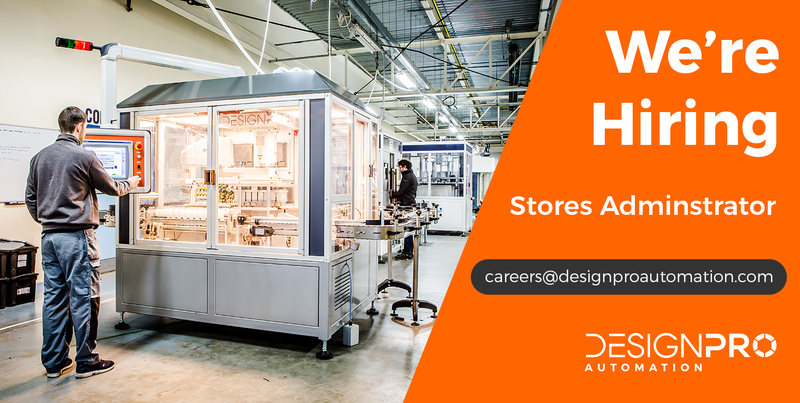 The successful candidate will be required to administer and co-ordinate activities in the Stores area ensuring all processes including documentation, records, allocation of parts as well as the organisation of outgoing parts/equipment to customers, suppliers and external parties is carried out. The person will carry out all store administration tasks and will deal with queries/requests in an effective and efficient manner. Maintaining and monitoring of stock inventory is a key aspect of this role. The role will involve a high level of interaction and liaison with internal departments and external parties. Previous administration experience is a requirement. Experience in a similar stores/logistics administration role and environment is a distinct advantage. Knowledge of inventory control and storeroom process activities – receiving and issuing. Excellent computer skills with a high proficiency in MS Office applications in particular excel and word. Strong level of attention to detail and accuracy. Excellent communication, organisation and time management skills. Ability to manage multiple activities. Self-motivated individual with a high level of initiative. Maintain and monitor stock inventory. Receive delivered goods, unpack in conjunction with the Facilities/Material Handler, re-stock, allocate parts to relevant project. Process delivery notes, cross referencing with purchase orders. Perform routine clerical duties and store administration, data entry, control of documentation, record keeping, maintaining files and telephone answering. Assist the assembly team regarding queries and ordering of spare parts. Organise returns to suppliers or customers. Assist customers with specific requests and queries in relation to tooling. Liaise with the Finance and Purchasing departments on delivery notes, on full or partial deliveries. Record and monitor fuel consumption figures. Participate in stock control on a regular basis. Deal with goods in and outwards as required as well as liaison with transport carrier to obtain quotation and make arrangements, ensuring the relevant paperwork is in place and accurately completed. Inform assembly, toolroom, design team on goods inward and outwards. Dispatches to supplier and customers. Purchasing of parts for Assembly team. Carry out the role with a continuous improvement mindset to continuously optimise processes. Complete records in accordance with the Quality Management System and ensure compliance with policies and procedures. The closing date for receipt of applications is Wednesday 6th February, 2019.